2010 F-150 SVT Raptor - By tapping into the growing off-road enthusiast truck market, Ford’s Special Vehicles Team (SVT) has taken their best-selling pickup and transformed it into a race ready monster. The team spent over two years developing this mutated F-150 capable of soaking up pockmarked desert trails at over 85 mph. Over 11 inches of front suspension travel and 13 in the rear combined with either a 5.4-liter V-8 with 320 horsepower and 390 lb-ft of torque or an optional 6.2-liter V-8 with 411 horsepower and 434 lb-ft of torque makes this is one serious truck. Ford is so confident about its performance that it’s heading to the Baja 1000. Expect to pay $38,995 to start. 2010 Ram 2500/3500 Heavy Duty - Along with a number of cosmetic changes and the addition of an available Crew Cab, the Heavy Duty lineup can once again be optioned with the Power Wagon package, which adds electronically locking front and rear differentials, a clever disconnecting front stabilizer bar and heavy-duty shocks and struts. Dodge has kept the time-tested chassis and engine combination while adding serious flare to the interior to make the already popular Ram HD lineup ever more appealing. Base price for the 2500 4x2 regular cab is $28,165. 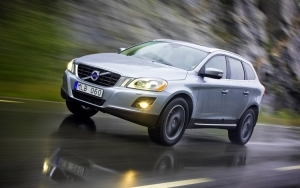 2010 Volvo XC60 - Sharp styling inside and out, plenty of power from its dynamic engine and gobs of room behind the rear hatch all make for a small SUV that’s engaging on every level. From the exterior, the XC60 catches your eye and holds it thanks to a bold grille, aggressive headlights and a stylish rear dominated by tall LED taillights. Inside, Volvo has done what it does best – creating an interior that’s attractive and useable. The XC60 starts at a reasonable $37,200, right in the middle of the high-end crossover segment. 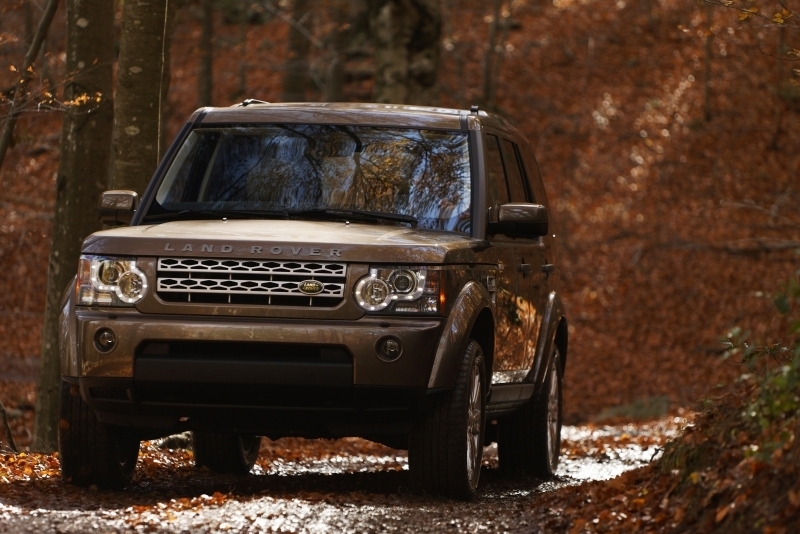 2010 Land Rover LR4 - Land Rover’s LR3 replacement does what Land Rovers do best by combing the highest quality and luxury with an impressively capable off-road package. The 5.0-liter V-8’s low-end torque and linear throttle response make slow climbing easy, yet out on the road, 0-60 mph comes up in just 7.5 seconds. If you fancy heading off-road and actually using all 9.4-inches of ground clearance the LR4 is all too happy to oblige. $48,100 gets you this well-rounded, capable package. 2010 Range Rover - The most surprising aspect of the new 2010 Range Rover is not its impeccable build quality, its on- and off-road manners, nor the amount of standard electronic equipment, but instead how much power this 5,816-lb monster puts down to the pavement. The base rover is powerful enough, but the Supercharged trim ups power output from the standard 5.0-liter V-8 to 510 horsepower and 461 lb-ft of torque and dispenses with 60 mph in 5.9 seconds. That much fun will make you forget about the mileage numbers: 12 mpg city and 17 mpg highway. The Range Rover starts at $79,275. 2010 BMW ActiveHybrid X6 - What do you get when you take a 400 horsepower, 5,688-lb SUV and add a few batteries? The most powerful hybrid ever made. Starting at $89,725, the X6 hybrid commands a $22,000 premium over the X6 xDrive50i, but for the price you get a slew of standard features, including a silky smooth, twin turbo-charged V-8 engine and one of the best interiors in an SUV that we have seen. The ActiveHybrid X6 utilizes a two-mode hybrid system, developed in conjunction with General Motors and the former DaimlerChrysler, bumps mpgs from 12/18 to 17/19. 2010 BMW X6 M - The numbers on the X6 M are truly astronomical. It weighs in at 2½ tons but still manages to lope to 60 in under five seconds. The M-tuned coupe employs an incredible twin-turbo V-8 that churns out 555 horsepower - a silly amount of power in what would otherwise be a tame family hauler. The interior is clad in high-quality materials, and the front seats are perfect for long trips. Think of it less of a performance SUV and instead as more of a grand tourer. 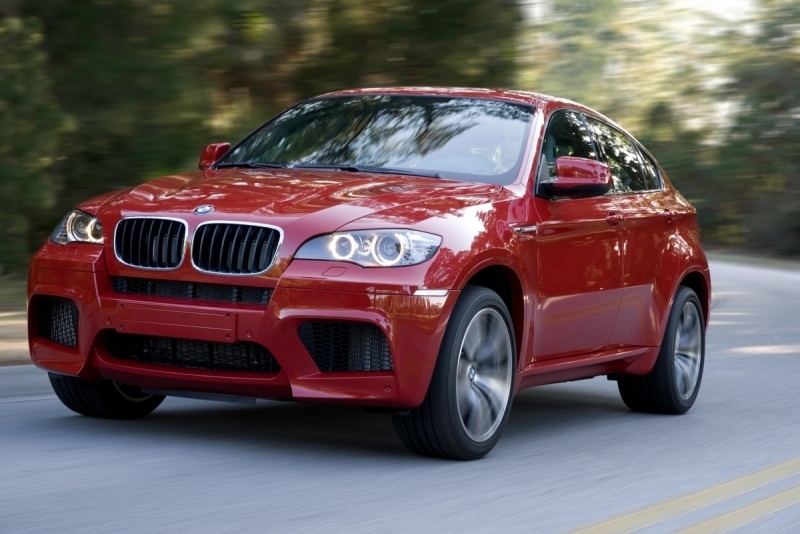 The 2010 BMW X6 M comes in at an MSRP of $88,900. 2010 GMC Terrain - This newly redesigned 2010 Terrain includes much of what GMC has lacked in the past, a combination of on-road composure and interior styling that—when all is said and done—makes for an enticing package. This crossover comes with a number of available options including a more powerful V-6, automated rear lift gate and all-wheel drive. While starting prices are a little ambitious for the crossover segment, a lot can be had for a base price of $24,250. 2010 Mercedes-Benz GLK - The GLK is Mercedes’ answer to the increasingly popular crossover segment. The boxy exterior is unique without being vulgar, while the beautiful and spacious interior is exactly as you’d expect from Mercedes-Benz. Equipped with a robust 3.5-liter V-6 producing 268 horsepower and 258 lb-ft of torque means the GLK is no slouch, but with the power comes less than stellar mpg numbers at 16 city and 22 highway. With a price tag in the mid $30,000, the GLK is an example of quality construction and premium personality. 2010 Hyundai Tucson - The Tucson enters 2010 with completely new sheet metal that boasts a more aggressive design. The new body sits almost an inch lower to the ground and is coupled to a 38 percent stiffer chassis. The interior has been upgraded as well, with higher quality dash materials, supportive seats and more standard features like power locks and windows and USB/iPod integration. All this comes with the standard 2.4-liter four-cylinder rated at 176 horsepower and 168 lb-ft of torque. Pricing starts at an extremely reasonable $19,790 and the Tuscon can be optioned to include all-wheel drive. 2010 Cadillac SRX - Cadillac has begun to put more emphasis on their smaller vehicles ever since gas prices spiked a while ago. This is echoed in the beautifully redesigned SRX crossover that comes equipped with GM’s new 3.0-liter 265 horsepower V-6, which is capable of up to 25 mpg on the highway and 18 mpg in the city when equipped with front-wheel drive. If you want a little fun with your functionality, a 2.8-liter 300 horsepower turbocharged V-6 is also available. A price tag of $33,330 seems more than reasonable for this kind of power and luxury. 2010 Mitsubishi Outlander - For 2010 the Outlander has received some major improvements in exterior design by taking styling cues from the Evolution X. Along with the new body comes some new interior features as well. Paddles mounted on the steering wheel echo the sporty character found on the outside, while the top-of-the-line 3.0-liter V-6 provides plenty of punch with 230 capable horses and 215 lb-ft of torque. If mpg numbers are your main concern, the Outlander’s 21 city and 27 highway when equipped with front-wheel drive and the 2.4-liter 168 horsepower four-cylinder should be satisfactory. The Outlander starts at $20,840. 2010 Acura ZDX - The ZDX is Acura’s response to a questionable, but nonetheless, growing segment of sport crossovers most notably occupied by the BMW X6. The 2010 ZDX features a unique coupe design – unlike the X6’s four-door body style – and a potent 3.7-liter V-6 engine. The sweeping coupe-like body style is pleasant to look at, and the high-quality interior makes quick work of long road trips. A long list of standard features makes the mid-$40,000 price more appealing, especially when placed next to a comparably equipped BMW X6. 2010 Chevrolet Equinox - For 2010 the Equinox has undergone a massive redesign both inside and out. The handsome exterior hides a spacious and well laid out interior that feels a notch or two above its Japanese rivals. Chevy has taken a knife to the engine bay and given the Equinox better gas mileage for both four-cylinder and V-6 powertrain options as well with the FWD 2.4-liter returning an impressive 22 mpg city/32 mpg highway. MSRP for an Equinox starts at $22,615. 2010 BMW X5 M - BMW has gone and done it again by tacking on an M badge and a massive price hike to one of their hefty SUVs. Along with the quad tail pipes and aggressive styling package, the $38,000 premium M trim replaces the six-cylinder engine with a twin-turbo charged V-8 with 555 horses under the hood. Fortunately for us, all the M badges have done some good by taking a perfectly capable family hauler and made it pleasingly manic. This crossover can sprint from 0-60 mph in an acclaimed 4.7 seconds and still carry five passengers and their entire wardrobe. Expect to pay $85,500 for all the added kit. 2011 Kia Sorento – Now, we know what you are thinking; despite its 2011 label, the Sorento is new for 2010. Kia has been working hard to revamp it product lineup and brand image, which means that the Sorento has an impressively redesigned exterior as well as a high-quality interior. It is clear that Kia’s efforts have been well placed, as a spacious cabin is made elegant with high-quality materials and a beautifully laid out dash. Both engine options – an inline-four and V-6 – are enough to scoot the Sorento around town with little effort. The base model starts $5 under $20,000, and even fully speced out, it won’t break $30,000. 2010 Ford Transit Connect - As part of Ford’s global vision, the United States will get more of the Blue Oval’s European flair. This includes a number of versions of the versatile Transit Connect van. Available with a slew of customizable cargo options, the Transit Connect starts at $21,475 and comes standard with a 2.0-liter four-cylinder engine with 136 horsepower and 128 lb-ft of torque. The small van has the ability to handle narrow city streets and tight parking situations without sacrificing cargo space, making this a perfect (and long overdue) vehicle for any small business owner.